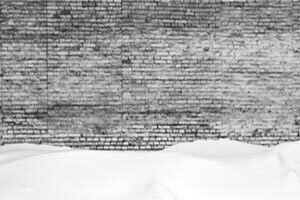 Toronto’s chilly winters open up the possibility for frost-damaged bricks, especially if bricks are not in the best shape going into winter. Frost damaged brick can result in spalling (entire chunks of brick and mortar falling out of the wall) and requires immediate repairs to ensure the problem doesn’t increase and lead to instability of the structure. 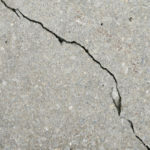 Cold spells and heavy frosts commonly cause roads, concrete paths and paving slabs to crack. Bricks are not immune to these same issues, as brick is a porous material that allows moisture in and out. The problem arises when moisture becomes trapped inside of bricks. Bricks are incredibly durable but over time they break down and show signs of wear and tear. The biggest culprit to bricks is water, although water impacts brick differently depending on the time of year. In warm weather, moisture can still enter bricks but it never freezes; therefore it naturally evaporates out of the wall typically without causing damage. When water gets inside of bricks during winter it has the potential to freeze, causing it to expand. Pressure from this expansion, especially when it happens over and over, leads to cracking and crumbling masonry. As this process continues to occur, entire surface areas of the wall will start to flake off and crumble onto the ground. What Do Frost Damaged Bricks Look Like? Bricks damaged by frost will vary in appearances based upon the severity of the issue. -Worse case scenario, entire bricks will fall out of the wall (spalling) and leave behind large chunks of missing brick and mortar. 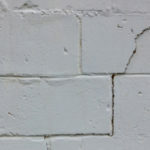 -Brick facing may show signs of severe deterioration, without the presence of spalling. While from far away the wall may appear to be in one piece, closer inspection shows serious rivets and dents in the surface. -Discoloration of bricks and/or mortar. -Loose, crumbly mortar that you can push around with your fingers. Before bricks show any signs of deterioration, you will notice signs of mortar damage. Mortar is supposed to break down before bricks but if it goes unfixed it’ll fail to protect brickwork as intended and lead to stress and breaking down of bricks. There are a few things you can do before winter arrives to help prevent frost-damaged bricks. Use rain as an opportunity to see exactly where water on your property goes. Are your drainage systems working properly to keep water moving away from your home? Or is water constantly soaking, submerging and running across brick surfaces? The latter will result in a high probably of frost damaged bricks post-winter. Any pipework that is directly attached to your home must be checked regularly for signs of blocks or leaks. A small leak can spell big trouble for brickwork, especially during the winter. Make sure that the overflow pipe is not dripping and adding moisture to masonry. In most homes, there are overflow pipes for each toilet, central heating and cold-water storage tanks. Most drips are caused by a fault within the float valve of the associated unit. If portions of your brick wall appear discolored, stained or are regularly moist to the touch, it’s time to have a professional out. The majority of homes are built with a water-resistant material on the lowest portions of the home to prevent damages from standing water, floods, and ground moisture. 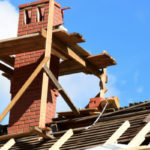 Regardless if your home is built with these precautions or not, it is always possible for moisture to seep up and through the bottom portion of your home. This will lead to a greater possibility of brick frost damage. Take a look around the entire perimeter of your home to make sure there are no areas where water can seep up into the walls. Move away anything that might help moisture access the wall, such as a pile of soil. Also, be on the lookout for anything that will facilitate rainwater running over walls. Bricks need to be in good shape going into winter in order to make it out without damage. Bricks that are crumbling, cracking or have weak mortar joints are at the greatest risk for developing frost damage. Check over your bricks on a regular basis and have small issues resolved right away, it’ll save you money and hassles down the road. 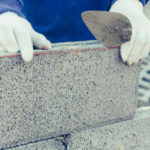 Contact Turnbull Masonry to make any necessary masonry repairs before or after winter. We can help set your bricks up for success for many winters to come!